Kokoen Garden, Traditional Japanese Garden in the west side of Himeji Castle. Koko-en garden, strolling-style garden consists of 9 various Japanese traditional gardens of the Edo Period. Visitors can enjoy the seasonal changes such as cherry blossom in spring, red autumn leaves, and white snow in winter with a pond with a waterfall against the scenery of the castle, a tea garden where visitors can enjoy green tea, a pine tree garden, a bamboo garden and a flower garden. Strolling along the paths in the garden allow visitors understand tranquility of an authentic Japanese gardens. The buildings in the garden was built in the old samurai residence to commemorate the 100th anniversary of the establishment of the Himeji municipality in 1992. 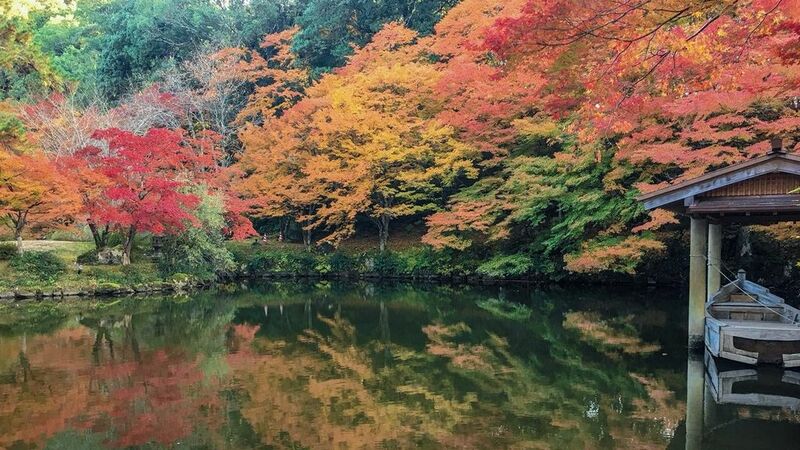 Koko-en is one of the most outstanding garden in Kansai and is specially famous for autumn colors viewing spot. If you visit Himeji Castle, you must make time for the garden. Access : 15-minute walk from JR Himeji station on JR Sanyo line. Koko-en Garden is located on the grounds of Himeji Castle at the southwest.